Several years ago my husband and I celebrated our 20th wedding anniversary with a week long trip up to Martha's Vineyard and it was one of the best and romantic trips that we had ever taken! If you have never been there, it is beautiful and there are a lot of activities to do and majestic places to see! While you can certainly go just for the weekend, we highly recommend that you plan a 7 day or 10 day trip so that you can really "take in" everything that the area has to offer. We have compiled our list of fun and romantic things that a couple can enjoy doing together while vacationing in Martha's Vineyard. The list above is just the tip of the iceberg of all of the fun things you can see and do while visiting Martha's Vineyard. 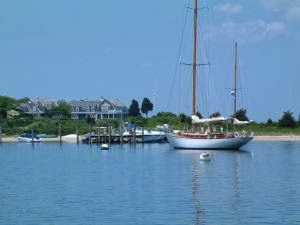 If you are looking for a romantic getaway, we highly recommend this vacation destination on the north east coast!